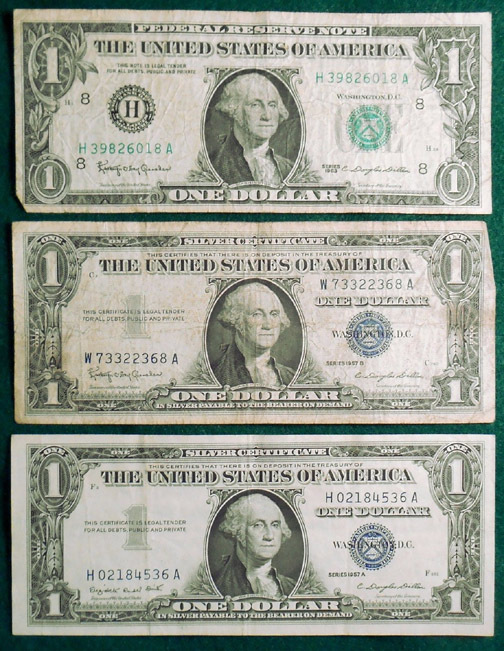 This lot contains both a 1957A and 1957B Silver Certificate, as well as a 1963 Federal Reserve note. 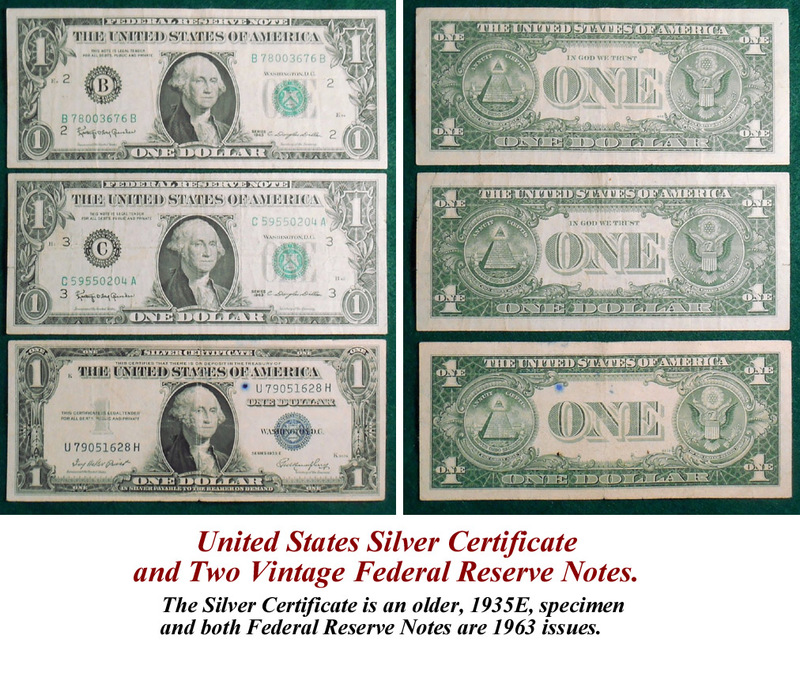 Two U.S. Silver Certificates and 1 Vintage U.S. Federal Reserve Note. 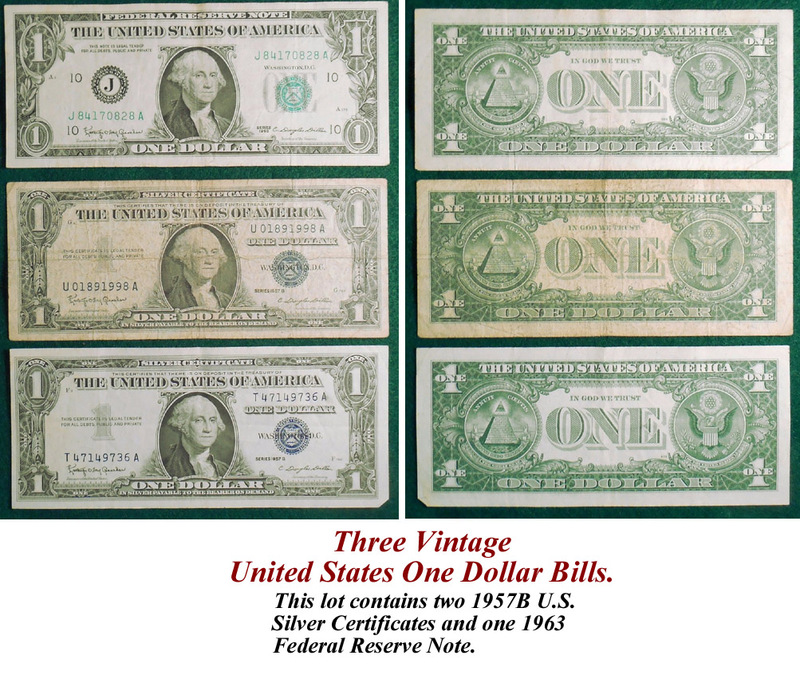 There are two 1957 Silver Certificates and one 1963 Federal Reserve Note in this group. 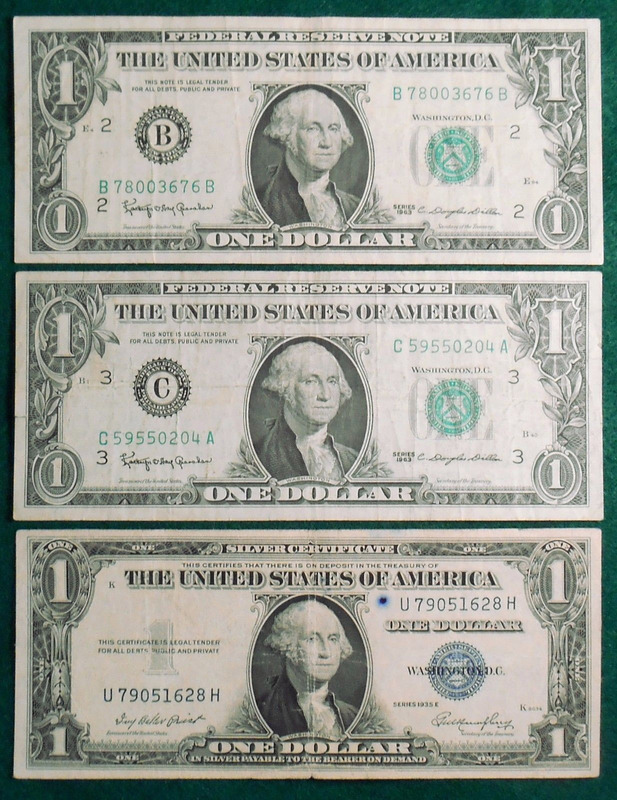 Three Vintage United States One Dollar Bills. 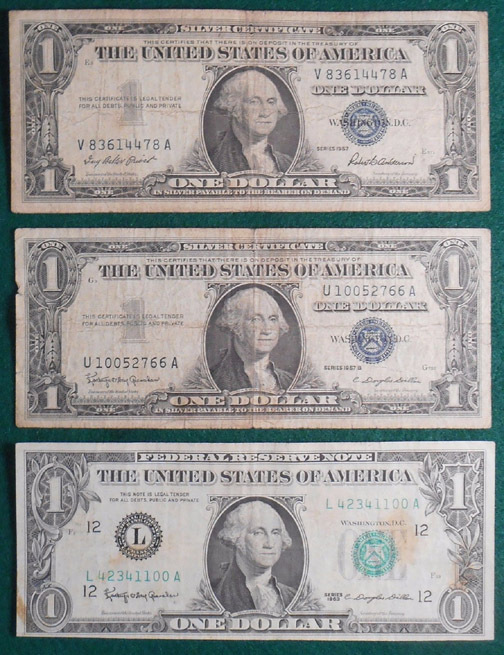 This lot contains two 1957B U.S. Silver Certificates and one 1963 Federal Reserve Note. 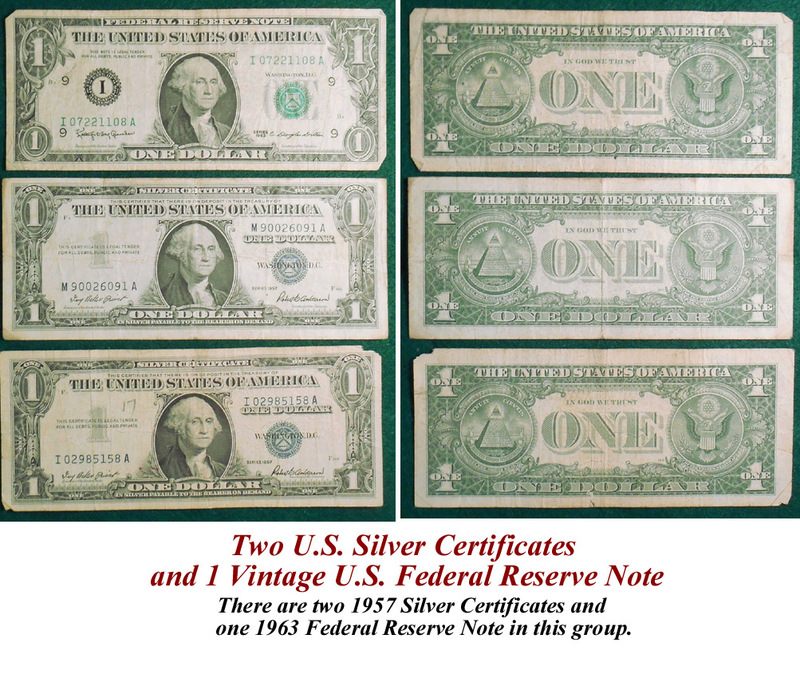 United States Silver Certificate and Two Vintage Federal Reserve Notes. 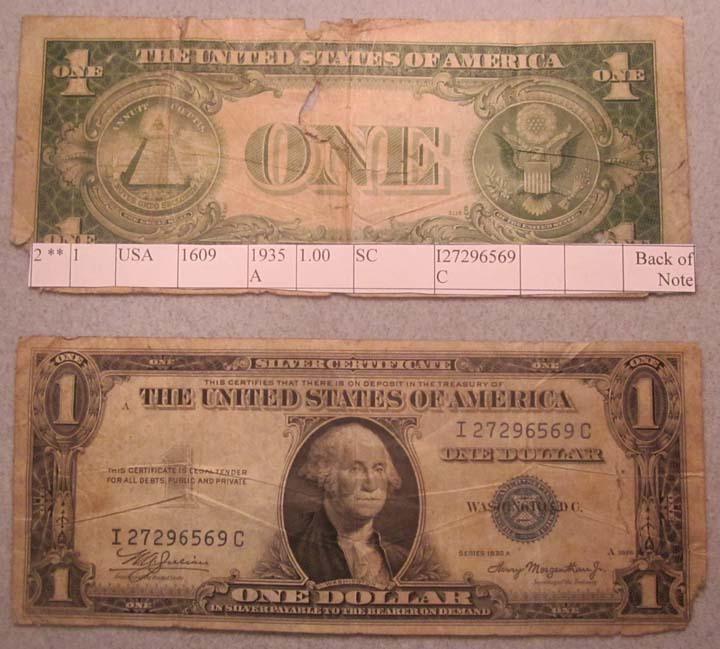 The Silver Certificate is an older 1935E specimen and both Federal Reserve Notes are 1963 issues. 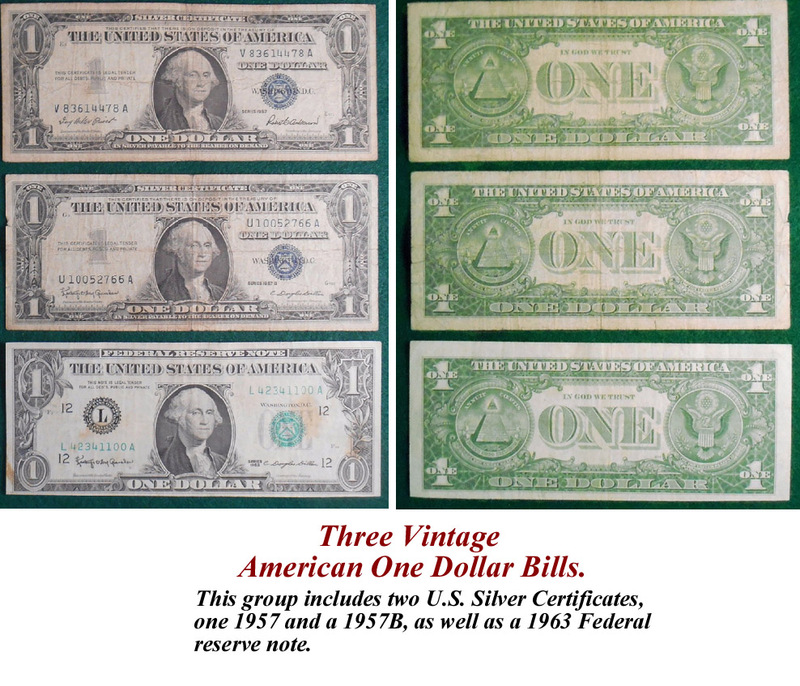 Three Vintage American One Dollar Bills. 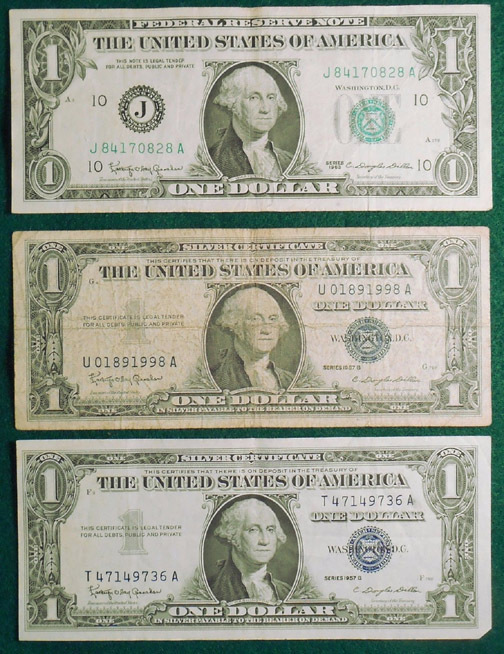 This group includes two U.S. Silver Certificates, one 1957 and a 1957B, as well as a 1963 Federal reserve note. 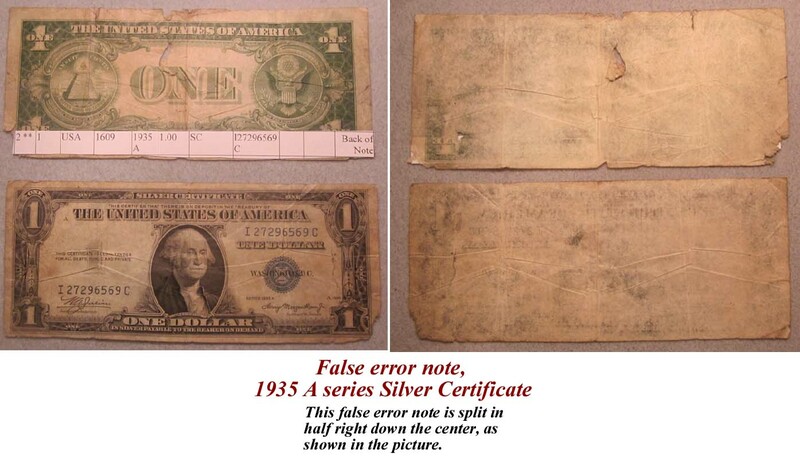 False error note, 1935 A series Silver Certificate. 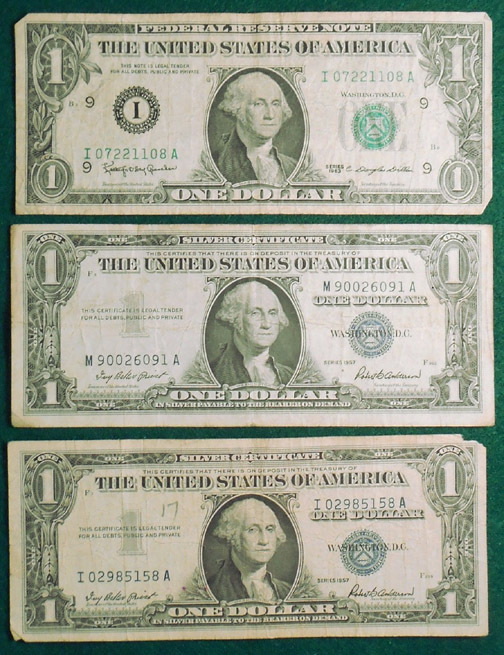 This false error note is split in half right down the center, as shown in the picture. 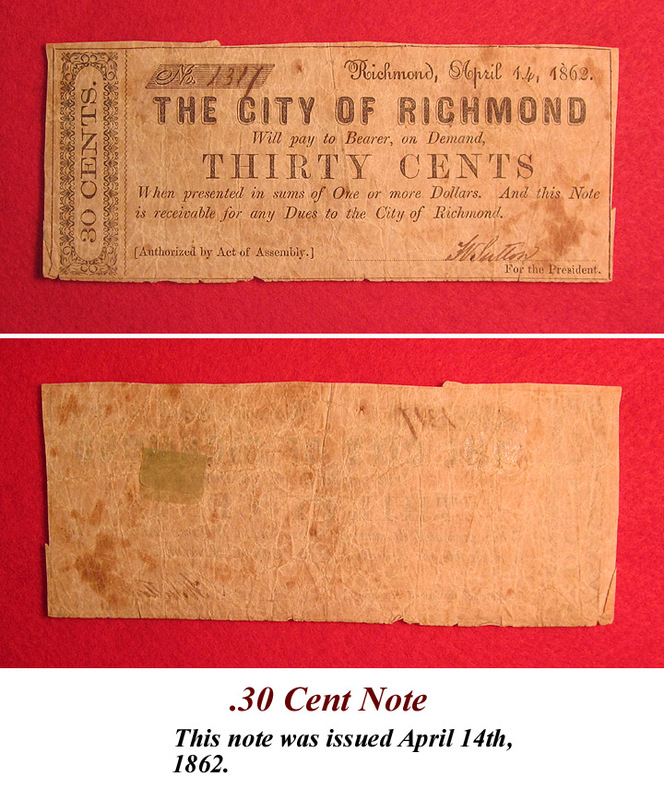 Confederate City of Richmond Fractional Fifty Cents note. 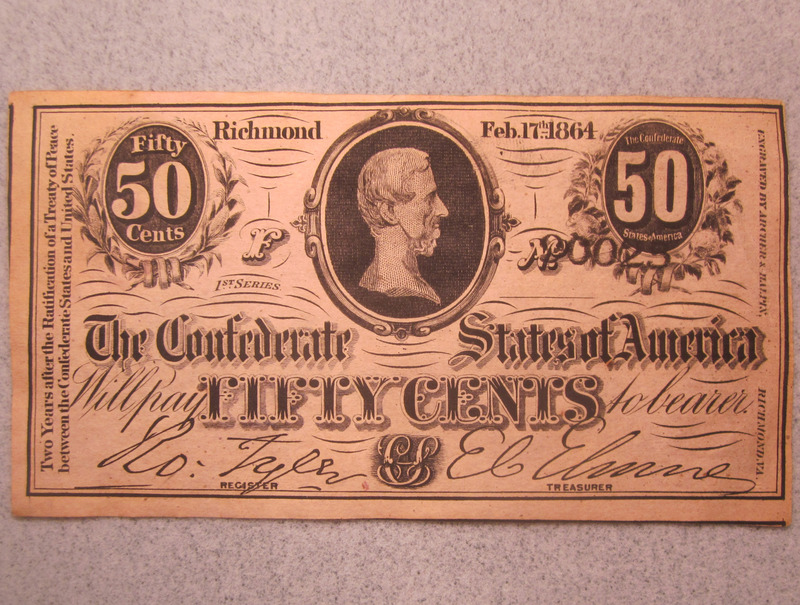 This Fifty Cents note is dated Feb. 17, 1864. 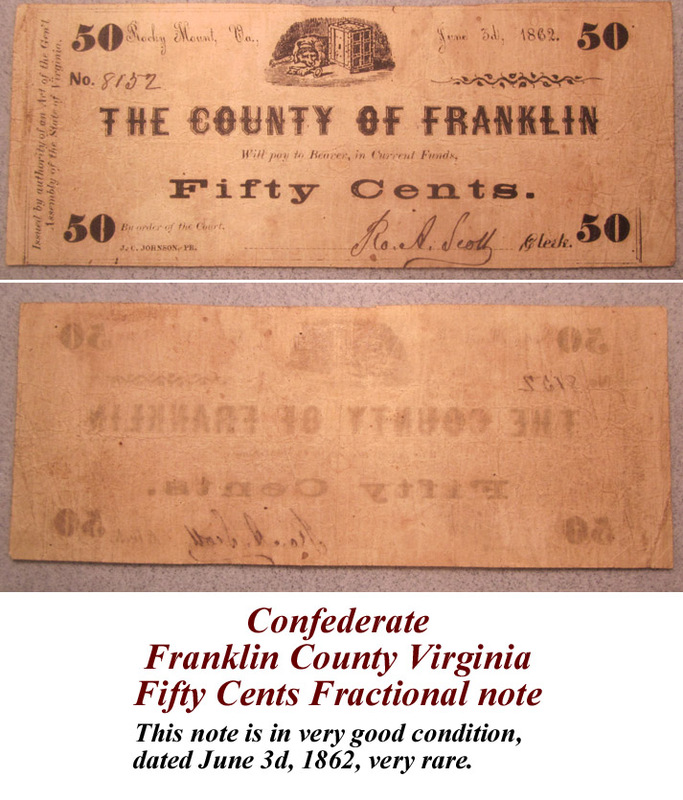 Confederate Franklin County Virginia Fifty Cents Fractional note. 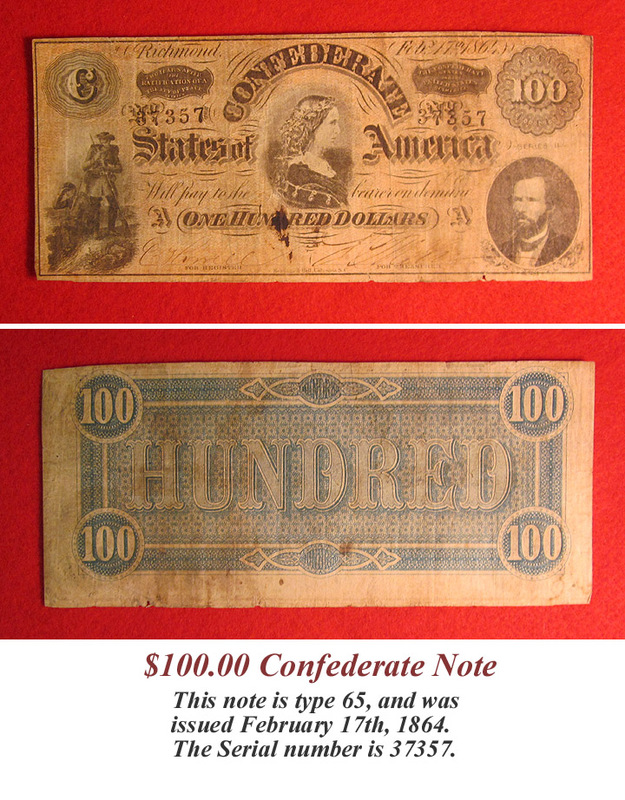 This note is in very good condition, dated June 3d, 1862, very rare. 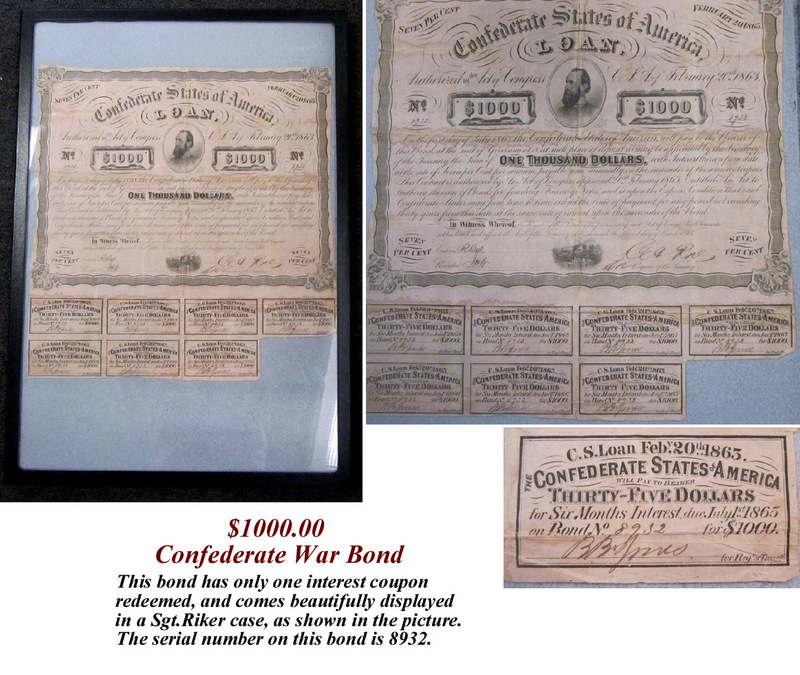 This bond has only one interest coupon redeemed, and comes beautifully displayed in a Sgt.Riker case, as shown in the picture. The serial number on this bond is 8932. 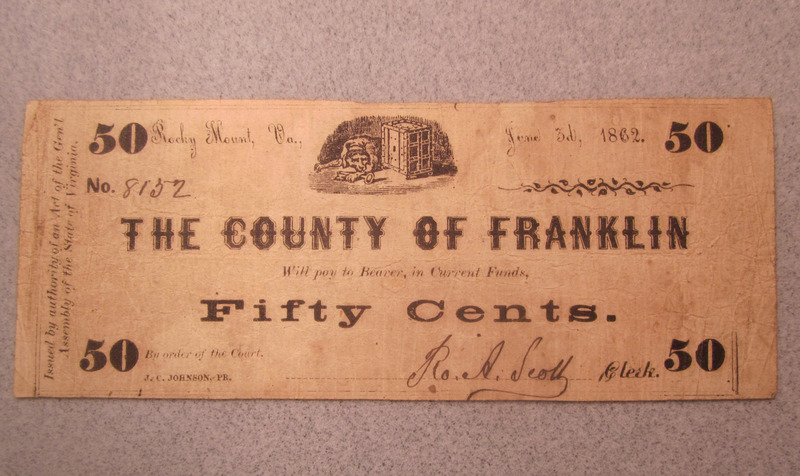 Antique Check from the "Bank of Lexington". 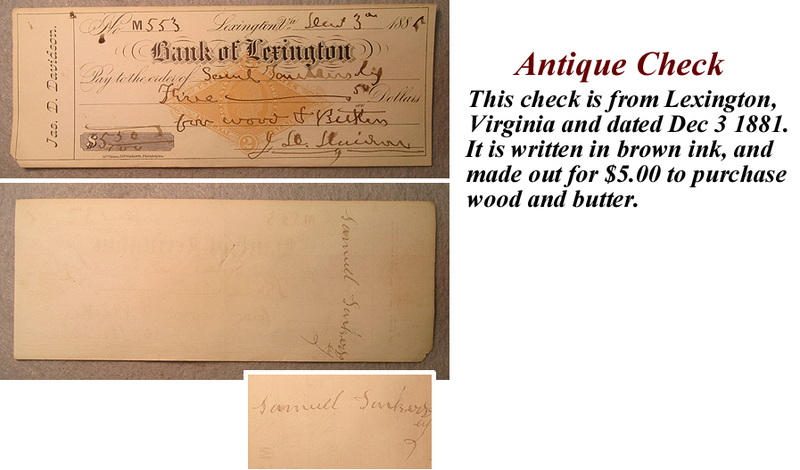 This check is from Lexington, Virginia and dated Dec 3 1881.
wood and butter. The serial number is M553. 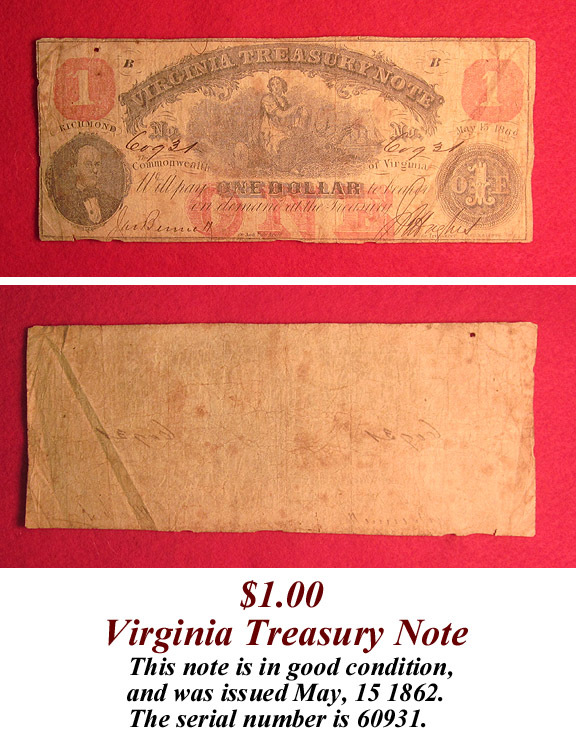 This note is in good condition, and was issued July 21, 1862. 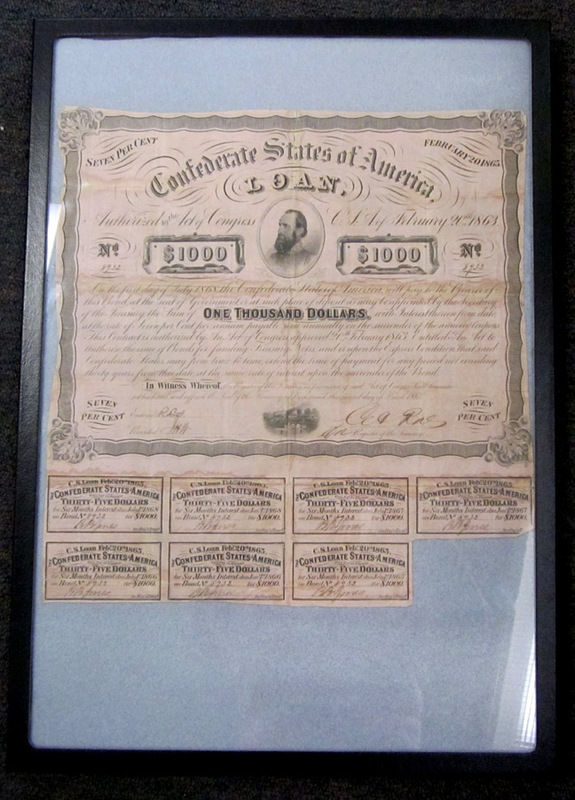 This note is in good condition, and was issued May 15th, 1862. 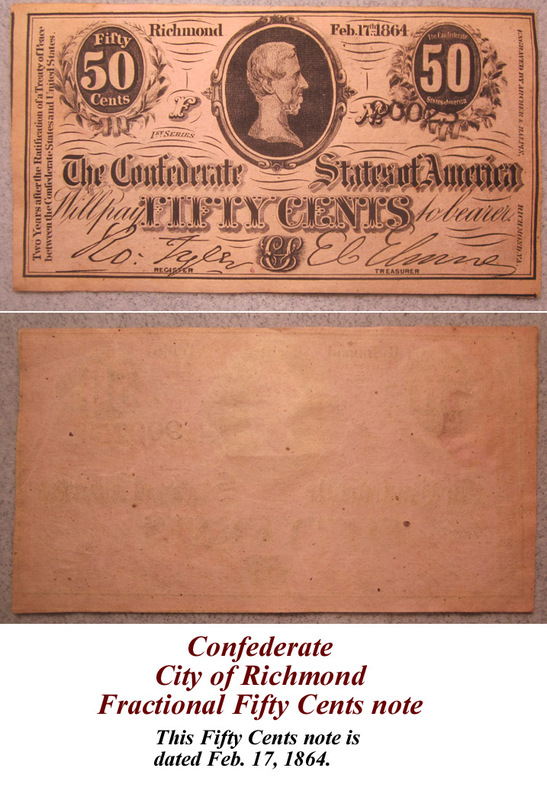 This note is Type 65, and was issued February 17th, 1864. 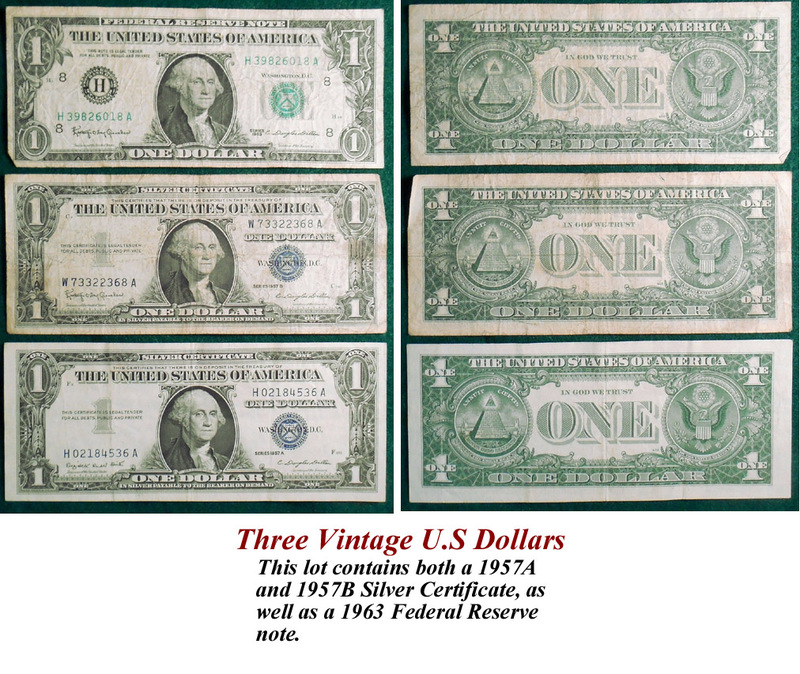 The serial number is 37357. Your purchase will include a mylar sleeve for your note. This note was issued April 14th, 1862. Your purchase will include a mylar sleeve for your note. 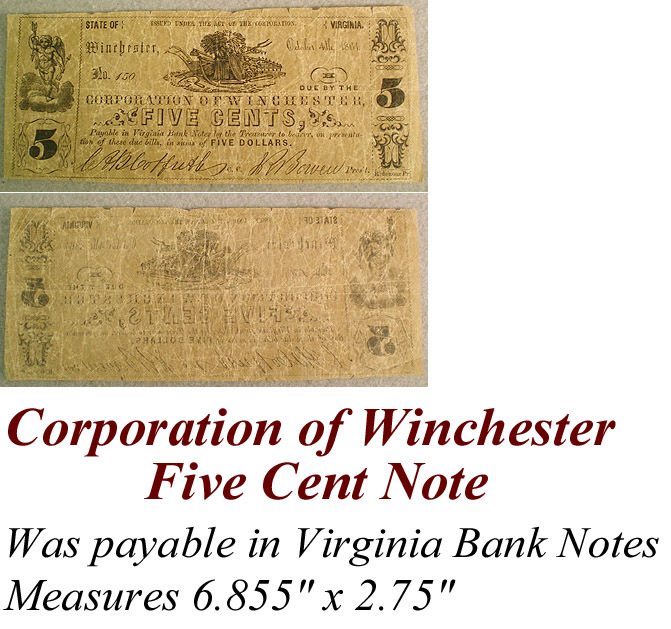 Civil War era Corporation of Winchester 5 cent note. 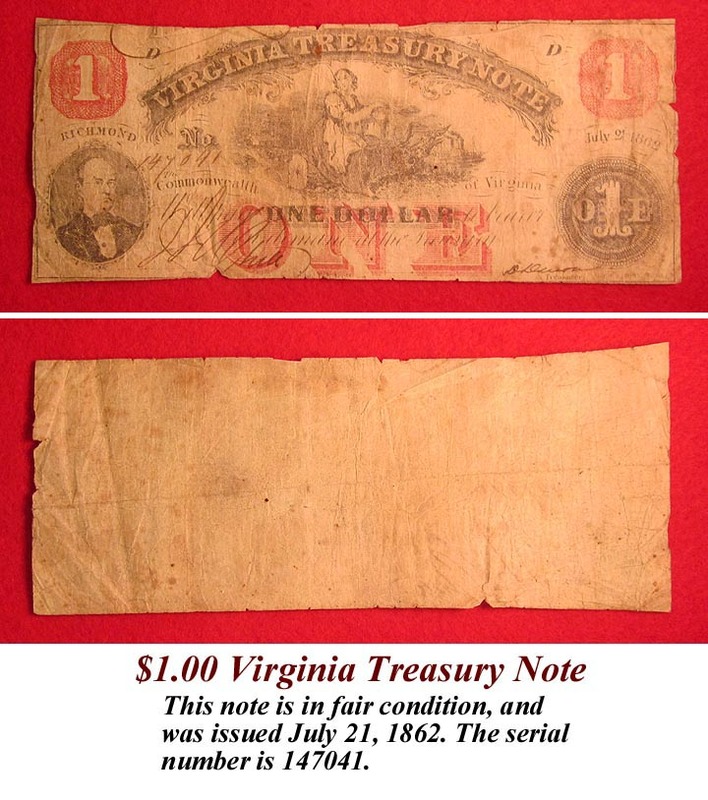 This note, issued Oct. 4th, 1861, was payable in Virginia Bank Notes by the Treasurer to the bearer, on the presentation of due bills, in sums of Five Dollars. This piece is intact with some wear on the edges and measures 6-7/8" by 2-3/4".